Could This Be The Best Pizza in Liverpool? Whether a traditional Margherita is your taste or you prefer the Festa de Carne with the full works, there will definitely be something you fancy from amongst the Villa Romana traditional Italian pizza range. You just can’t beat the taste of traditional Italian pizza. You might challenge yourself to break your ordering routine and go for a meat or fish dish but now and then, especially this time of year when the weather is cold, something supremely satisfying and delicious like your favourite calzone or traditional Italian pizza can really hit the spot. Of course if you have any special requests or particular dietary requirements you can let us know and we will do our best to cater to them, while still serving you up the best pizza in Liverpool! Join us in the daytime or evening, between 12pm and 10pm Tuesday – Sunday to enjoy two courses for just £10.95 with a glass of wine or a soft drink. Our lunch menu changes every month but you can always be sure to find a selection of our authentic Italian pizzas amongst the options. 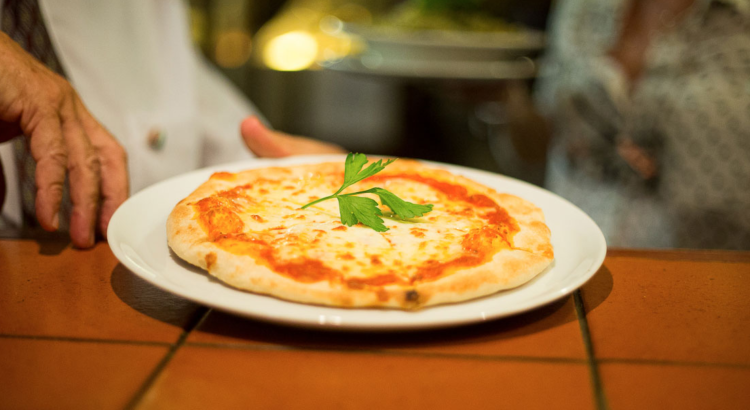 Students can join us any day of the week to enjoy their choice of a traditional Italian pizza or pasta dish plus a glass of wine or a beer for just £10. What Makes Ours the Best Pizza in Liverpool? Well it’s our years of experience serving the local market with the finest Italian food, made from fresh local ingredients, plus the fact that our traditional Italian pizzas are handmade from scratch right here in our kitchen.